Define your community presence with a memorable School Sign! School Signs have been used since forever to send messages to students, teachers, parents and the rest of the community. They will never go out of fashion and will always be there to help schools communicate with their audience in a way that is concise and friendly as well as easy to understand and remember. Sign King has designed in School Signs for more than 15 years now, so we are the experts you have been searching for to design and manufacture your School Sign. Our School Signs enjoy beautiful and attention-grabbing designs, so you can rely on them to spread your message to your audience and passersby. Our schools signs usually include the school’s logo, crests. 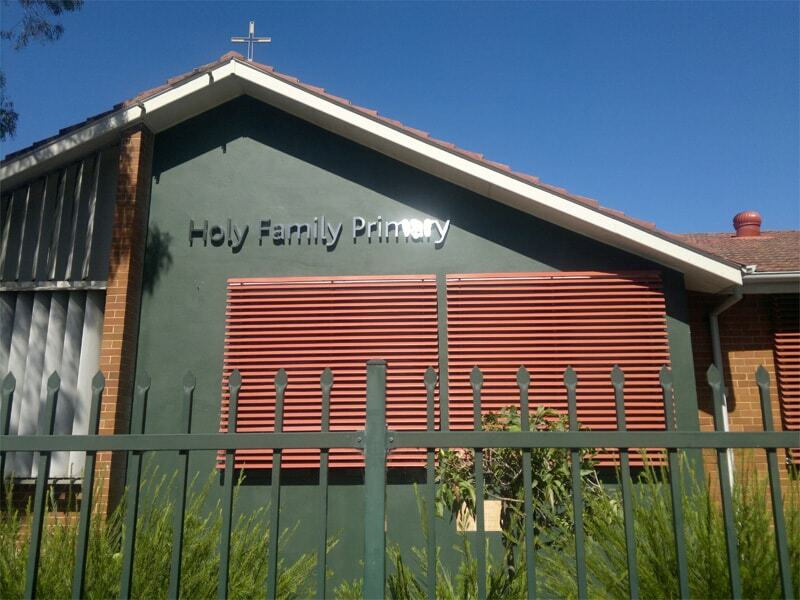 Eye-catching due to their contemporary design, our School Signs are easy to notice and read. We have worked with various educational institutions, from primary schools to colleges and universities, so we know exactly how to adapt the design of your School Signs to meet your requirements and become an essential means of communication with the community. Our team is proud to have delivered the best solution for each location, and we are eager to help you with the design of your School Signs by providing qualified advice regarding the size, material and installation spot for them. Sign King provides a variety of School Signs to meet every preference and budget: identification signs, changeable letter signs, masonry-style signs, as well as LED Signs. The colours, fonts, sizes and shapes are all up to you! If you need inspiration, we will show you a range of examples so you will definitely find what you are looking for. Your School Sign can easily become your PR representative or business card to passersby, so let’s make it memorable! Choose to work with Sign King and send your message to the community in a stylish, contemporary and eye-catching way. Order your School Sign today and receive a quote fast and free! We are open to all your ideas and ready to visit you for an onsite inspection to make sure you receive the best recommendations for the design of your School Sign. Remember! Your School Sign helps you define your community presence, whether we’re talking about messages delivered to the academic community, parents or passersby! Choose a School Sign that represents your school’s profile and personality! Choose to call us today!